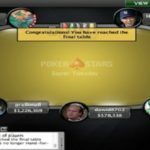 It was a great Super Tuesday event for the Canadian poker pro named teckidtq, who topped the field size and pocketed the first prize as well. 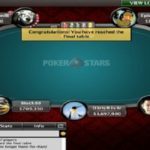 The player received $75,029 as first prize by winning weekly 2/7/17 Super Tuesday at PokerStars in just 67 minutes of final table play. 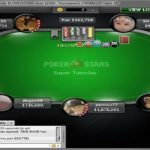 Oliver “ollie_p” Price of United Kingdom completed his journey being runner-up and was able to pocket a good total of amount $55,148.81, meanwhile third position of the match was for a player from Costa Rica named Brian “brianm15” England made $40,536.31. 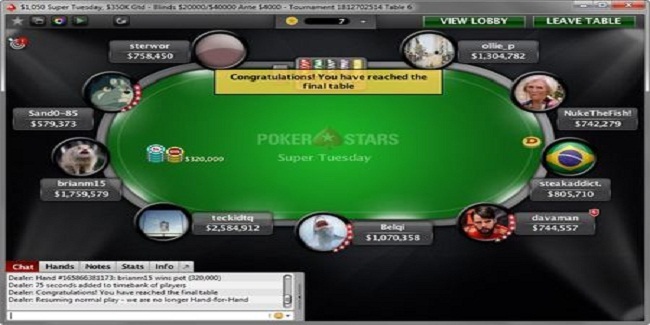 The latest Super Tuesday of buy-in $1,050 NL Hold’em received 414 entries and generated $414,000 as total prize pool, which later distributed among top 55 finisher of the game. 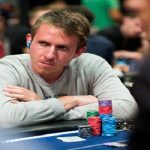 Romanian Alex “steakaddict.” Papazian was the first eviction from the final table. He moved out with a total winning share of amount $6,392.82, whereas Finland’s Sand0-85 collected $8,697.27. Seventh and sixth places were for NukeTheFish! Of United Kingdom and sterwor of Poland. They were both collected $11,832.45 and $16,097.85 respectively.